Approximately 20% of the population is sensitive or in some way psychic. Being sensitive or psychic can allow you to understand the world in a way that most people can’t, and to see beyond what others are able to. But for many of you sensitivities are a burden, causing overwhelm or even physical ailments. 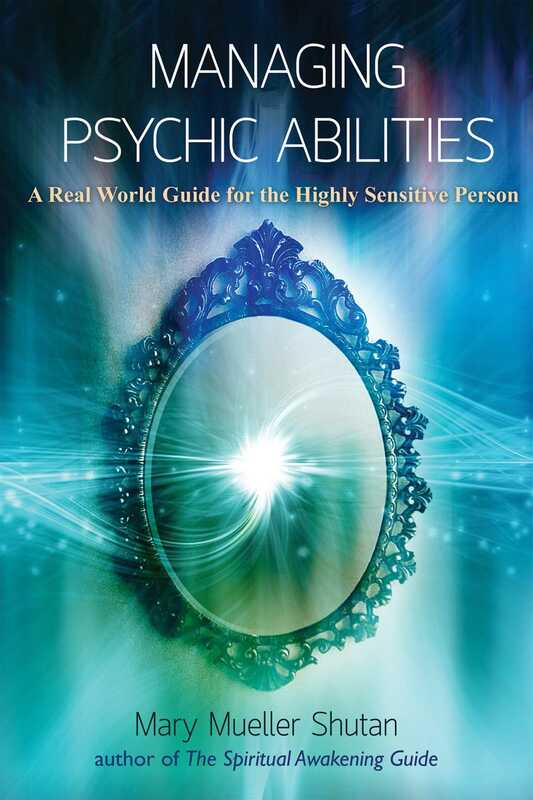 Most information about psychic abilities on the market is aspirational, meaning that all of the books out there focused on “opening your third eye” or “becoming psychic” are not meant for the highly sensitive person. You don’t want to become more sensitive, you may in fact be holding on for dear life because you are overwhelmed, panicked, have issues with sleep, body pain, headaches, digestive issues, and constantly shifting emotions. Or you might be mildly sensitive, but still need skills to manage going to work, or want to know more about how to become more functional while still being sensitive in this world. Learn how psychic abilities and sensitivities develop, where you are on the spectrum of these abilities and sensitivities, and most importantly, the basic and intermediate skills and techniques needed to be healthier, more functional, and to feel in control of your sensitivities and psychic abilities, so that you can live in the world more joyfully again. "Mary’s book will not only help preserve the wellbeing of health care practitioners who work closely with others, but also sheds new light on the source of chronic overwhelm and illness in some of our patients." "When I think about my experience working with Mary, words such as depth, substance, truth, deep magic, compassion, respect, transformation and empowerment come to mind. I know that this experience has been healing because they are not just words I would use to describe Mary, but words I now feel for myself, and how I experience myself. We so often read of other's adventures, other's powerful spiritual experiences. Through Mary's work I have come to understand and experience my own power, my uniqueness; I have learnt to embrace and find comfort in my weirdness and difference. What a beautiful gift she gives, delivered with compassion and passion and accessibility."